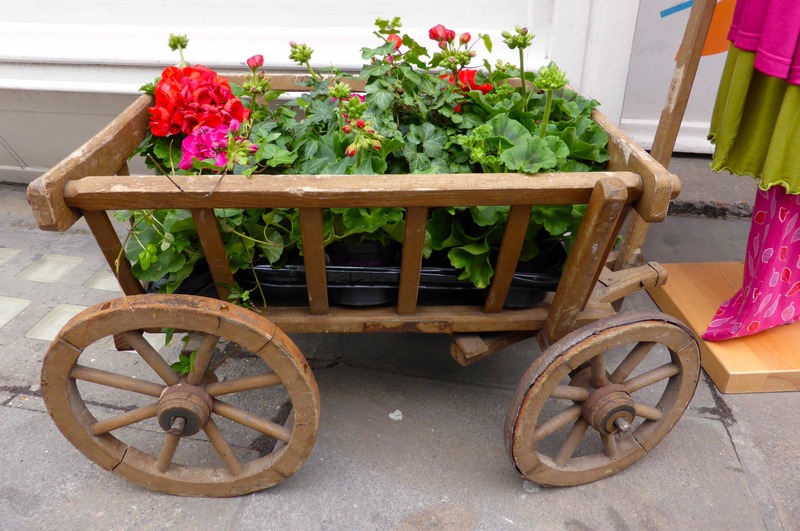 I had planned to spend today in the garden but instead I ended up in London and had a lovely day with Lara. First though I ignored the cold and wet weather and went over the road for another go at interval training and managed 8 x 2 mins running with a minute walking in between. I did have to walk a bit during 2 of them but I definitely found it a little bit easier this week than last. 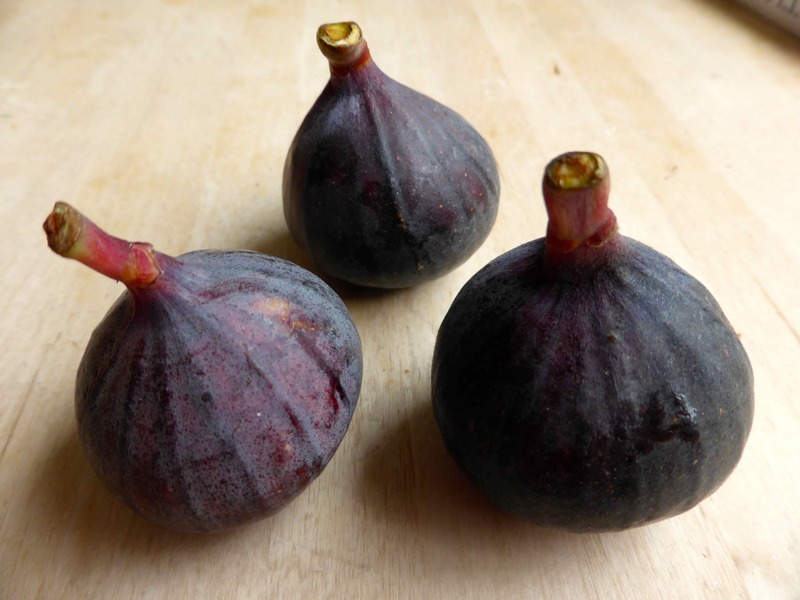 I bought some fresh figs yesterday and enjoyed three for breakfast. 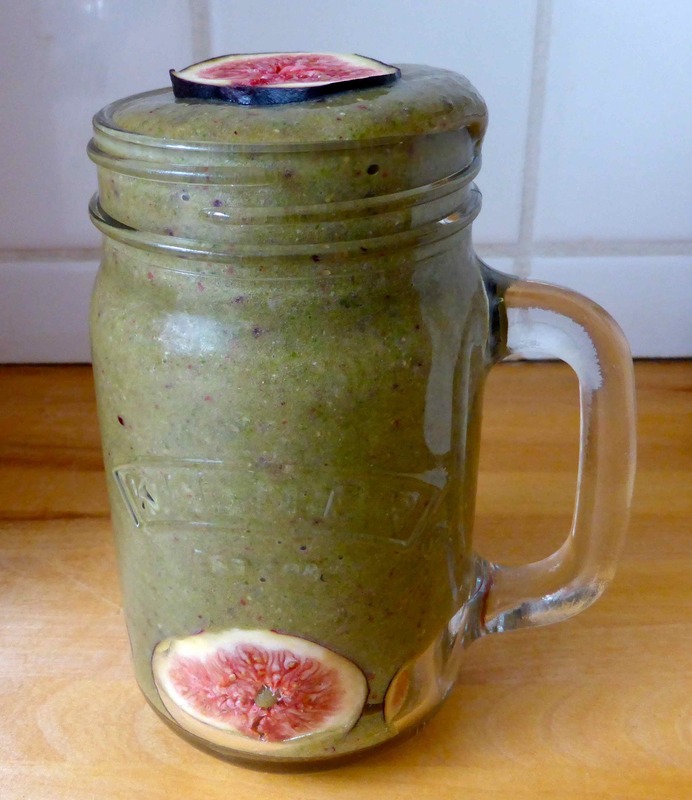 I made a smoothie with spinach, strawberries, 1 tbsp chia seeds, some cucumber, 2 frozen bananas and the figs. 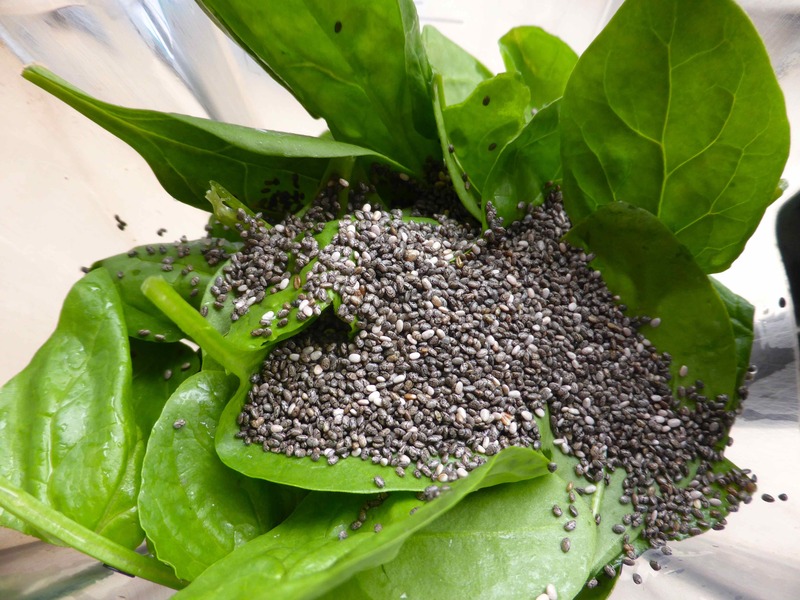 Not the best flavour but it was packed full of nutrients and I was hungry so it slipped down a treat. 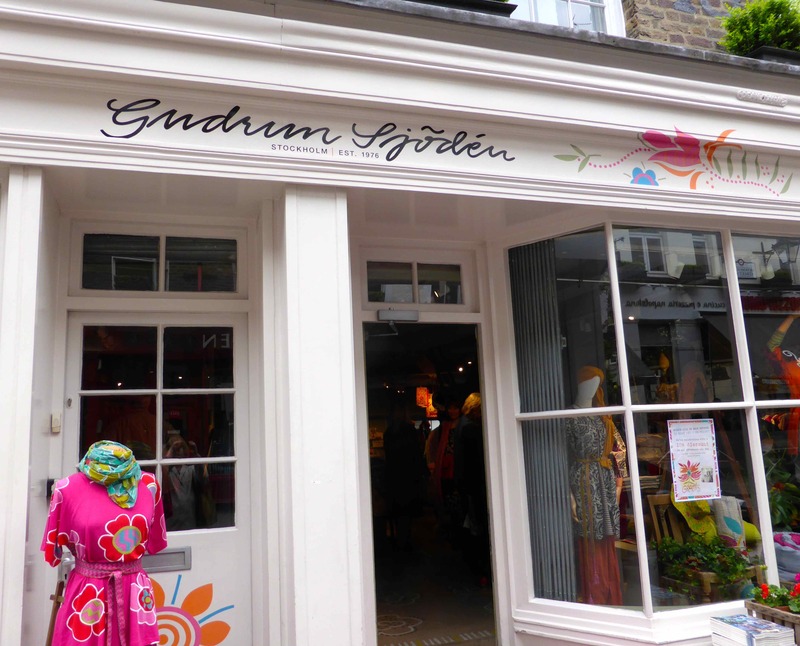 Lara and I went up to London and headed to Gudrun Sjoden’s shop on Monmouth Street. This is my favourite clothes shop. The staff are so friendly and helpful, the clothes are colourful and unique and so very comfortable. Lots of cotton, some of which is organic, and such beautiful patterns and colours. I met Gudrun !!!!! 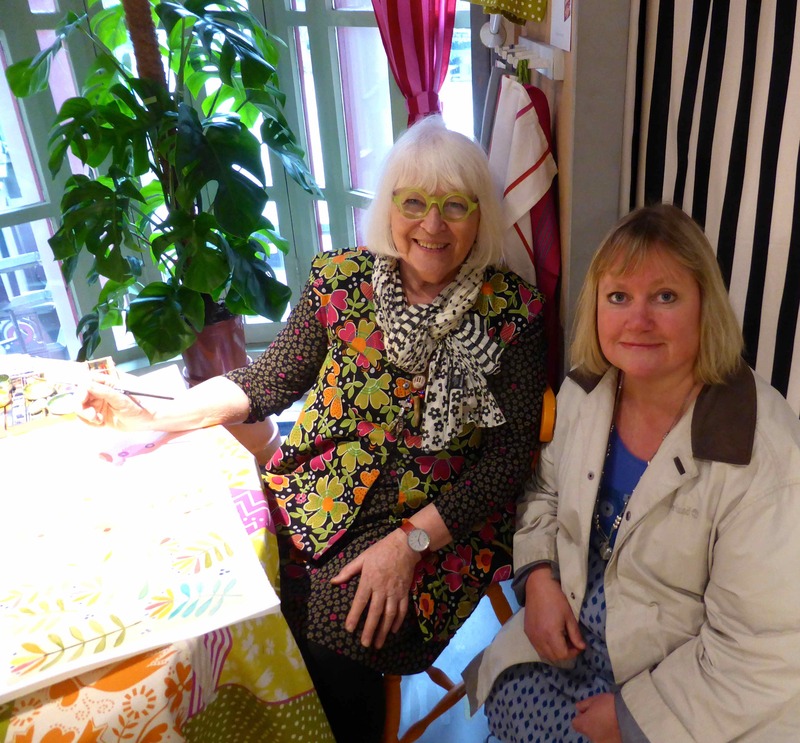 She was very charming and like all the Swedes I have met, speaks excellent English so we had a little chat. It was great to meet her and I am glad we went. Thank you to Stella for letting me know she was in store. 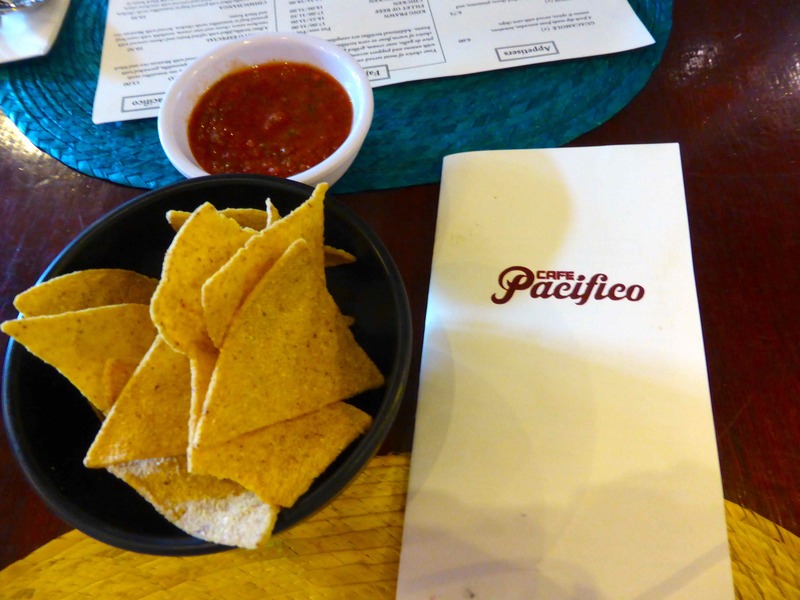 We decided we fancied Mexican for lunch so wandered round the corner to Cafe Pacifico. We were given corn chips and quite a spicy salsa while we perused the menu. 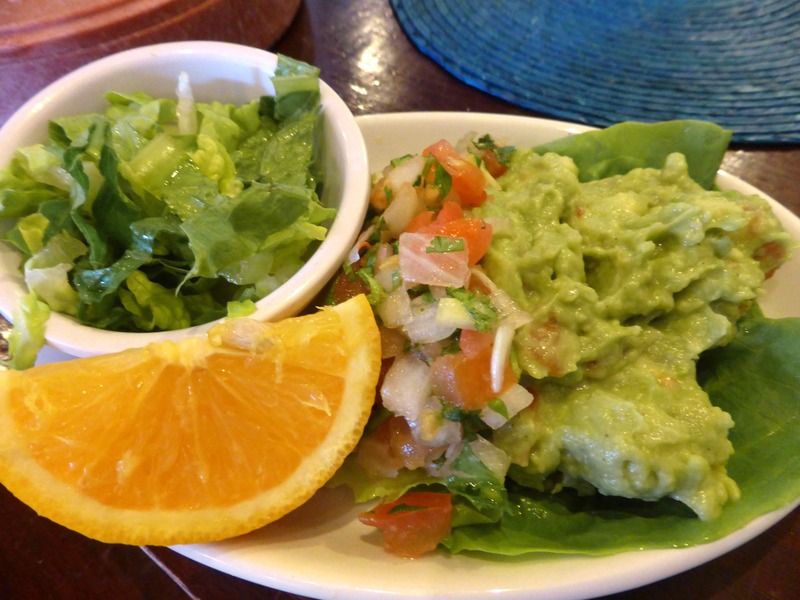 We had some more chips with guacamole which we shared as a starter. I had a little margarita. 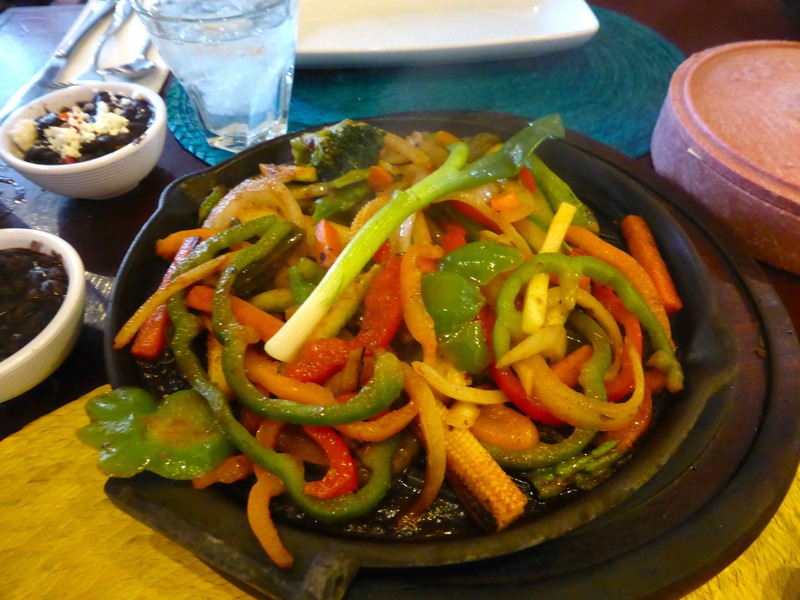 For my main I chose the vegetable fajitas and the staff were very good when I asked them to make sure it was served with no dairy. 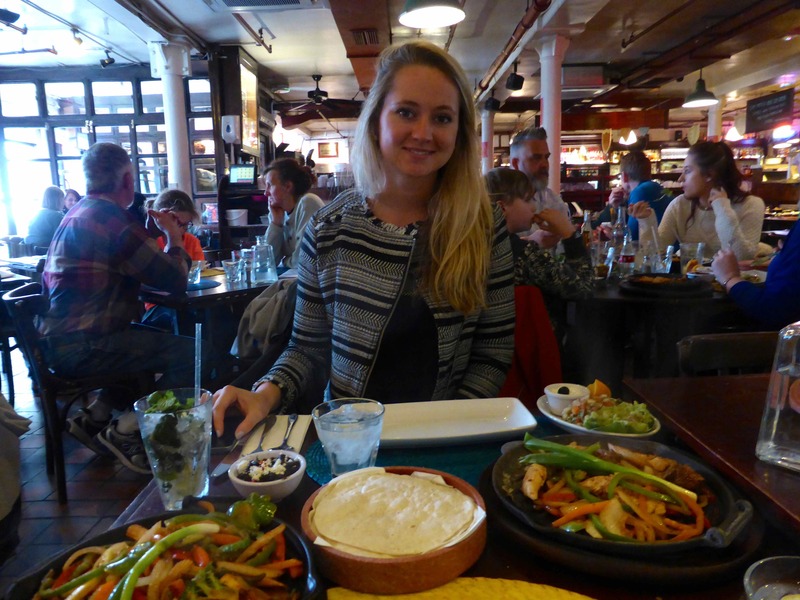 Mine came with tortillas, black beans, salsa, guacamole, lettuce and a large sizzling platter of vegetables. It all tasted good. It was not excellent but it was good. The service was friendly and efficient. The company was lovely 🙂 . The bill was very hefty and I think I actually prefer Chipotle which although it’s basically a fast food chain, serves very reasonable food and it is much cheaper. I wouldn’t go to Chipotle for Sunday lunch though and unfortunately, the price would put me off coming here again. 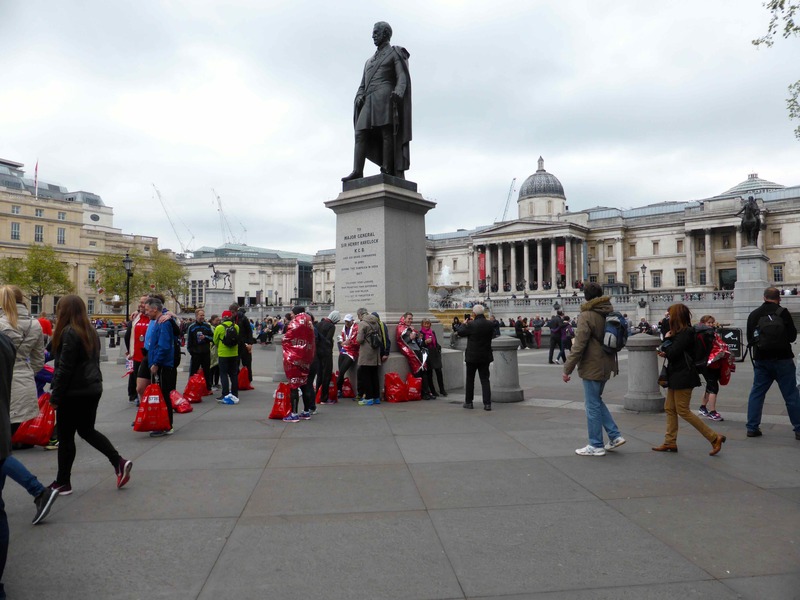 Today was London marathon day and by the time we had eaten the streets were beginning to fill up with those runners who completed the event in 3 – 4 hours. I would be so proud if I had earned one of those medals. 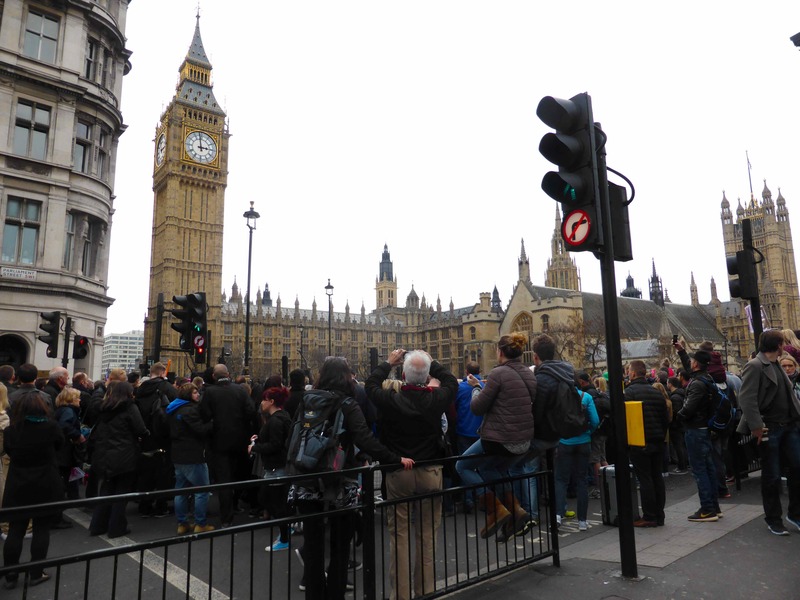 The streets around Trafalgar Square were packed and the atmosphere was very cheerful. 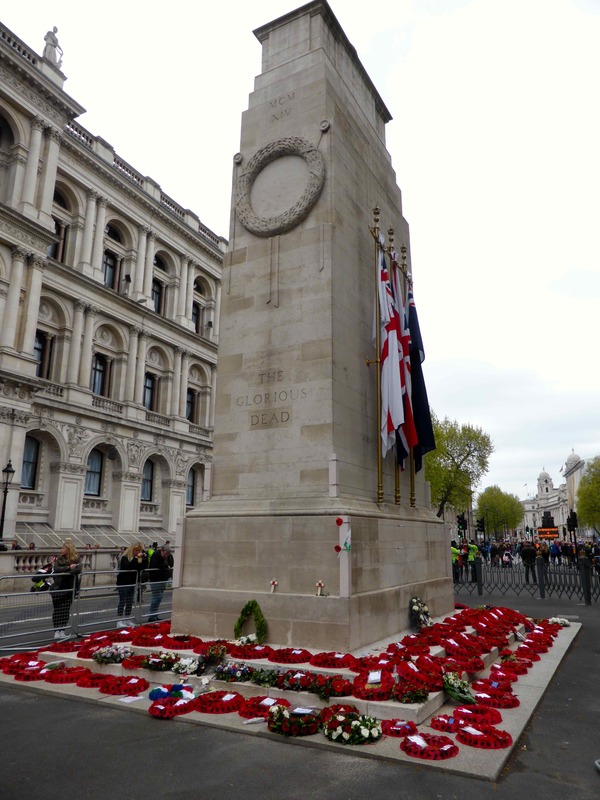 We walked down Whitehall, passed the memorial covered in wreaths to commemorate Gallipoli. We watched a little bit of the race. 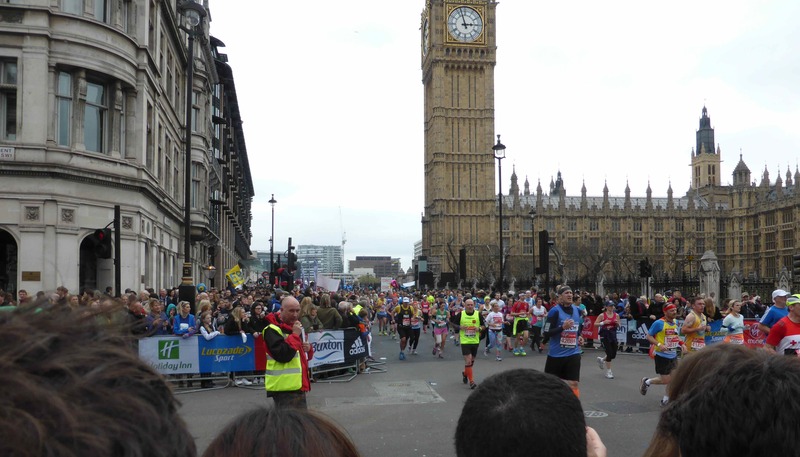 This is Parliament Square which is near the end, between mile 25 and 26. I am so in awe of these people who can achieve this. I walked it once – never again as it is a very long way. It was fun to experience a tiny part of so many people’s big day. 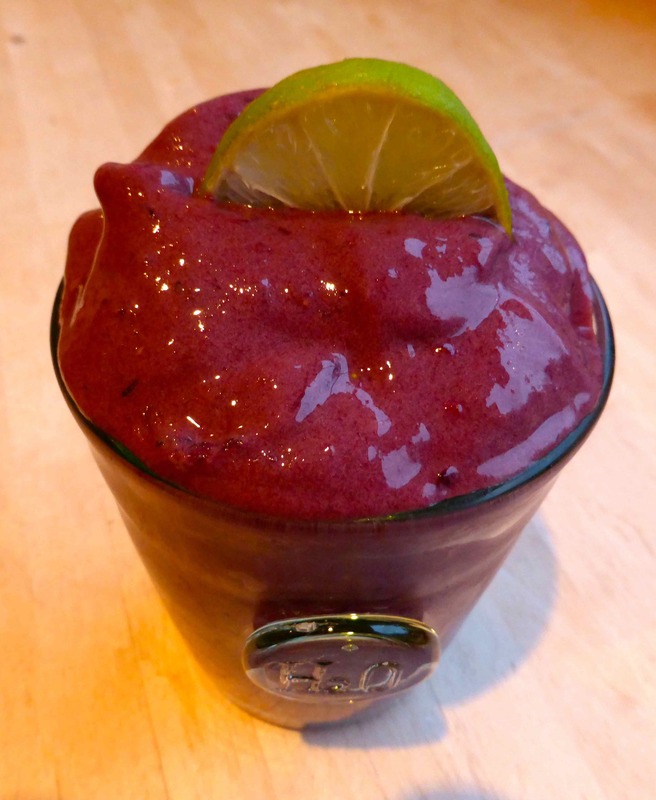 I was not hungry in the evening so I made a very small blackberry and lime banana nice-cream. I think this is my favourite flavour as it is so fresh and I love that blend of blackberry and banana. 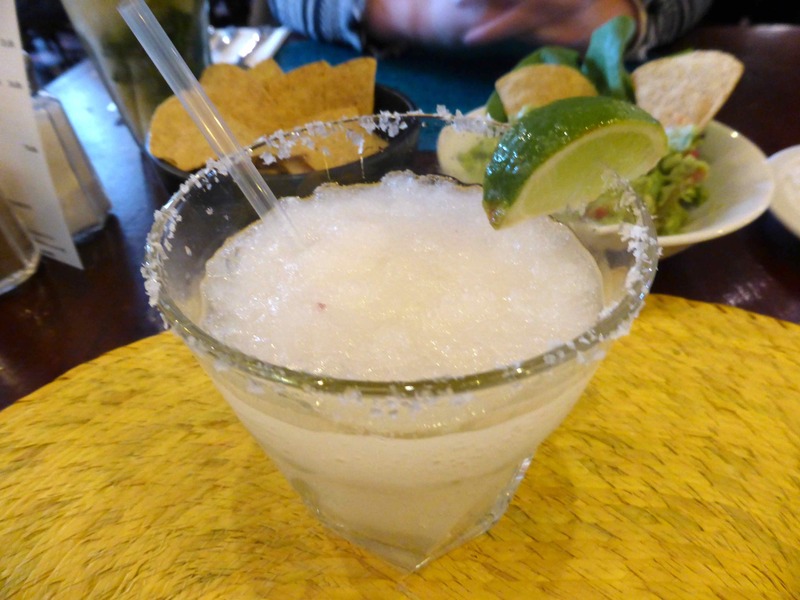 The juice of half a lime makes it extra zingy and tasty. 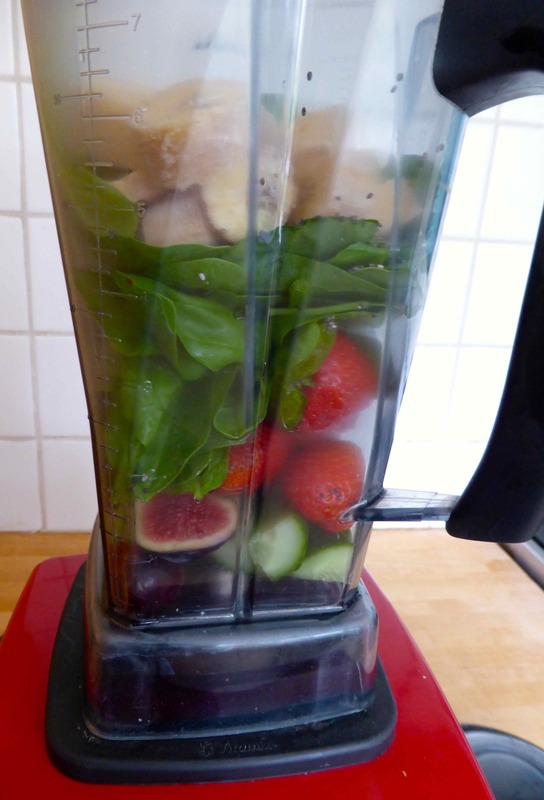 The joy of the blender is that you can enjoy the flavour of blackberries and all their nutrients and fibre, but a good blender gets rid of all those annoying pips so it becomes a complete pleasure. This was fabulous. A good end to a lovely day. 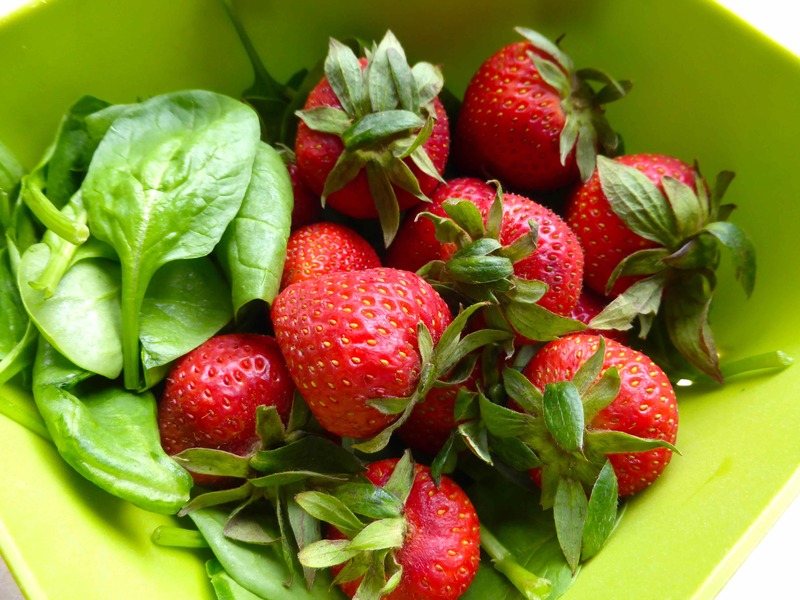 I didn’t eat perfectly as I had corn chips, a margarita and 3 small white tortilla wraps but everything else was plant food so not a disaster and I did exercise so an acceptable day, diet wise. 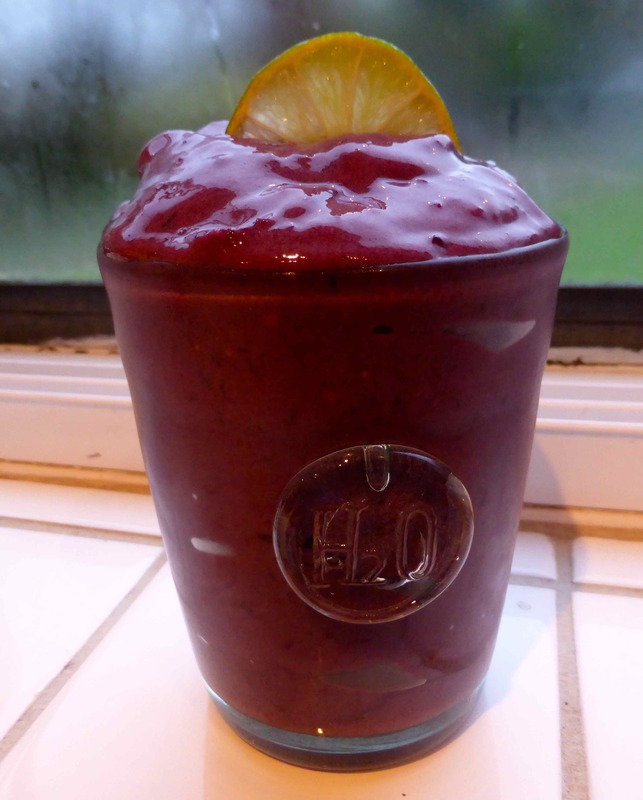 This entry was posted in Uncategorized and tagged Banana ice-cream, Blackberries, Fajitas, Gudrun Sjoden, Vegetables, veggies. Bookmark the permalink.